There are a lot of misconceptions among GRAND ISLAND auto owners about fuel grades – and by fuel grades I mean the octane rating. With names like “Standard”, “Super”, “Plus”, and “Premium” it’s no wonder that GRAND ISLAND auto owners associate the octane rating/grade with quality. 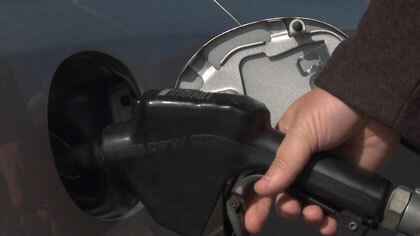 Octane ratings are expressed as a number that typically ranges from 87 to 91 at the pump. The number does not mean “better” but rather signifies the appropriateness of a particular grade of fuel for a particular engine. Octane is a measure of gasoline’s ability to resist igniting before the spark plug goes off. Gasoline and air are compressed in the engine’s combustion chamber. When the pressure reaches a certain point, the gas will spontaneously combust. You don’t want that to happen; you want the spark plug to ignite the fuel at precisely the right time. When the gas combusts prematurely, the piston will try to go down while it is still being pushed up by the crank shaft and you will hear a pinging or knocking sound. That sound is metal stuff banging into other metal stuff when it’s not supposed to. As you can imagine, this can lead to pricey damage. Because engines have different designs, they have different compression ratios. An engine with a higher compression ratio needs gasoline with a higher octane rating to prevent premature combustion. Also, turbocharged or supercharged engines have higher pressure in the engine and often require higher octane gas. The bottom line is that your vehicle has a recommended octane rating – often on a sticker in the gas cap area – and you should always use at least the octane number recommended. Using a lower octane rating than recommended could cause engine damage. Using a higher octane rating than recommended will not have any discernible power or efficiency benefit in modern engines. Now, just because the octane number doesn’t measure quality, that doesn’t mean there isn’t a quality difference in gasoline. The government mandates that all gas have a minimum level of detergent added to keep the engine and vital fuel system and emission components clean and operating efficiently over the long haul. Top tier gasoline in GRAND ISLAND will have many times the minimum level of detergent. To give you an idea of how critical that is, all U.S. automakers use top tier gasoline in their government mandated 100,000 mile durability tests. Good quality fuel is critical to long life of engine components. No matter what kind of gasoline Grand Island drivers use, there will be some carbon build up on valves, pistons, fuel injectors, etc. This is especially prevalent on the intake valves of the GDI (gasoline direct injection) engines that are found in more and more vehicles because the gas is injected directly into the combustion chamber and the detergents in the fuel do not wash over the intake valves. A professional fuel system cleaning at Whitaker Auto Repair in GRAND ISLAND is required to clean and restore the efficiency of your fuel system and to keep your fuel economy up. Ask your experienced Whitaker Auto Repair service specialist if it’s time for a professional fuel system cleaning.